Instantly downloadable sheet music by Mack David for guitar solo of MEDIUM skill level. Alle Notenausgaben von Bibbidi-Bobbidi-Boo (The Magic Song) zum Herunterladen bei VirtualSheetMusic. Alle Notenausgaben von Baby, It`s You zum Herunterladen bei VirtualSheetMusic. 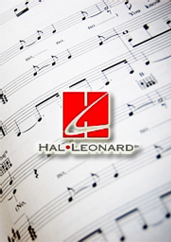 Alle Notenausgaben von This Is It zum Herunterladen bei VirtualSheetMusic. Alle Notenausgaben von The Unbirthday Song zum Herunterladen bei VirtualSheetMusic. Instantly downloadable sheet music by Mack David for voice and other instruments (Vocal Volume 1) of MEDIUM skill level. Instantly downloadable sheet music by Mack David for voice and other instruments (C Instruments) of MEDIUM skill level. Instantly downloadable sheet music by Mack David for guitar (ukulele) of MEDIUM skill level.